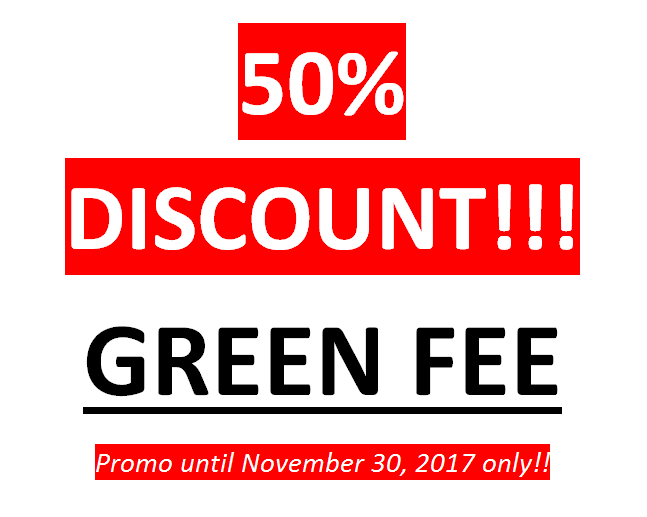 50 Percent Discount Green Fee Promo! - Dakak Golf Club Inc.
Home > Uncategorized > 50 Percent Discount Green Fee Promo! Get a 50% Discount! Promo is until November 30, 2017!